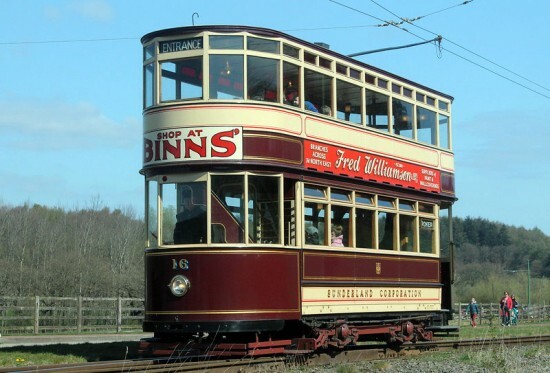 Thursday 11th April saw the first day of Beamish’s Great North Steam Fair. 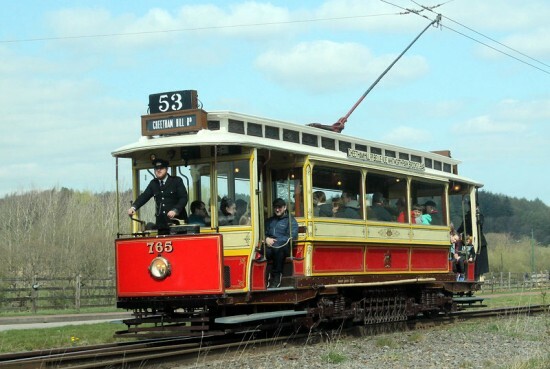 With plenty of vintage vehicles in action the day also saw a four tram service in operation – Blackpool & Fleetwood 40 and Manchester 765 were in service as expected and were joined by Sunderland 16 and Blackpool 31. The event continues over the next three days with the final day being Sunday 14th April. Manchester 765 arrives at Pockerley. 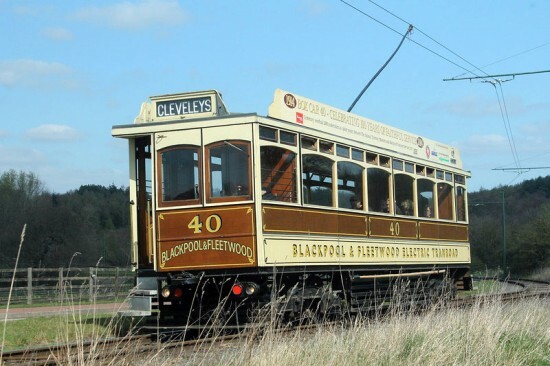 The second of the visiting trams, Blackpool & Fleetwood 40, seen in the sun at Pockerley. 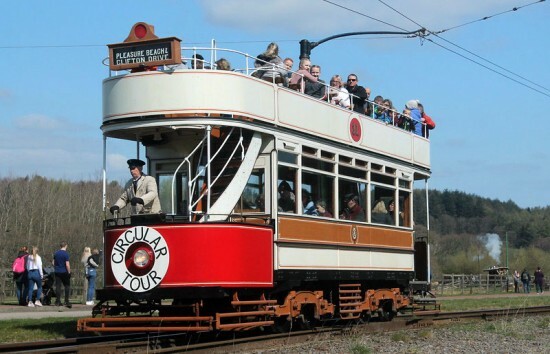 With its Circular Tour boards in place once again, Blackpool 31 pulls into the stop at Pockerley.